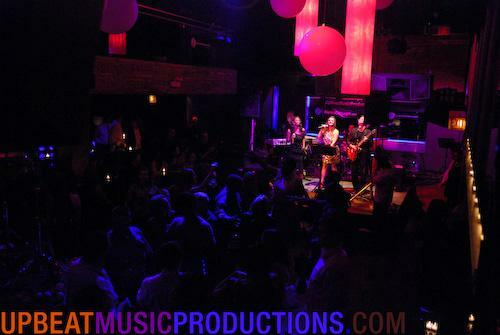 UPBEAT MUSIC PRODUCTIONS provides a comprehensive live music entertainment service, whether your event requires a versatile five piece group – THE UPBEAT BAND, a dynamic 10 piece orchestra – UpBeat Orchestra, a 14 piece orchestra – The Michael Cascio Orchestra, a jazz group – Michael Cascio Trio or jazz quartet for reception music, a string quartet for classical ceremony music, solo piano or strolling violin, a blues group, or a custom theme for a corporate gala, we know how important your special event is – creating the perfect party atmosphere is what we do. 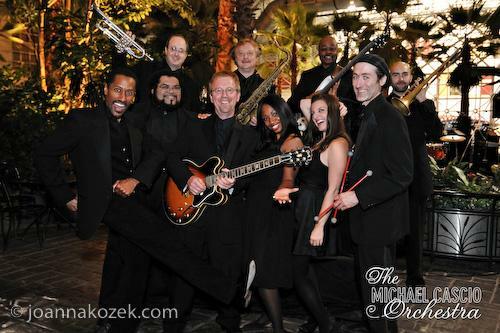 The Michael Cascio Orchestra is a high energy dance ensemble with world class vocal stylists, performing for weddings and corporate galas throughout Chicago land since 1997. 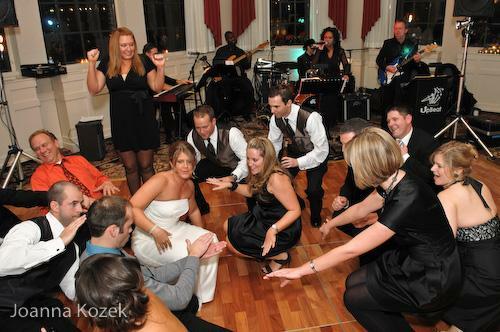 Our captivating vocalists will pack your dance floor with exciting and well balanced song medleys - creating a fun, distinctive, unforgettable party atmosphere is what we do, at the best value in Chicago. With our experience and preparation, we go the extra mile to make sure all the important details you choose are perfect. 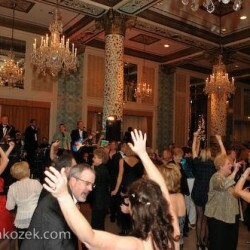 The orchestra is comprised of life long professionals you can trust for your event. 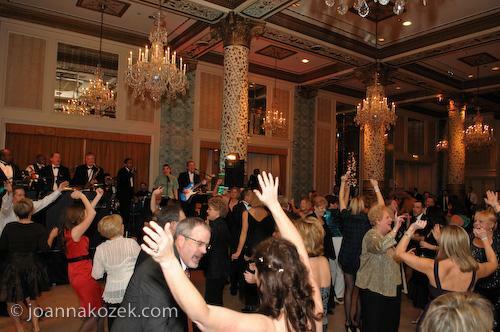 We put great care in organizing music that is special for your event, including ballroom/swing, R&B, Motown, Disco, Salsa, Rock, ballads, contemporary and classics spanning the last five decades - see video, audio, and photo examples on our web site! UpBeat, our orchestra's five piece dance group, offers an exciting performance with variety to ensure that once the party begins, it continues all night long - covering the swing classics such as, "The Way You Look Tonight" (Sinatra), contemporary, i.e., "Smooth" by Santana, a broad range of R&B classics such as "My Girl," "Respect," 70's dance classics such as "Play That Funky Music," timeless classics like "Brown Eyed Girl," the best of the disco era including "Stayin Alive" and "Dancing Queen," motown, ala "I Want You Back," "Best Of My Love," latin party songs, i.e., "Hot, Hot, Hot," contemporary salsa such as "El Cantante" by Marc Anthony, contemporary hits like "Crazy In Love" by Beyonce, and timeless ballads such as "What a Wonderful World" by Louie Armstrong. 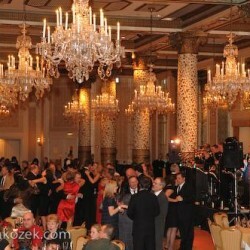 - we create a fun, distinctive, unforgettable party atmosphere. 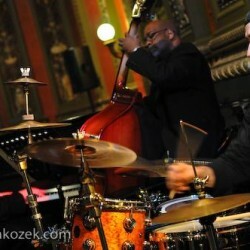 Michael Cascio Jazz Trio: Piano, Upright Bass (also a visual treat) and Drums. 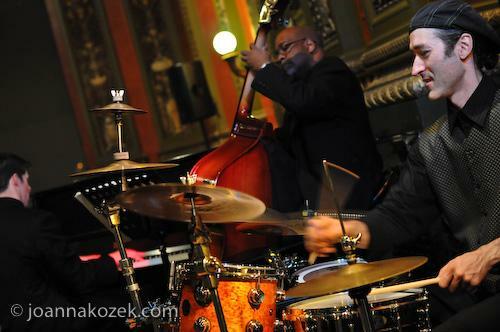 The trio performs a variety of tasteful jazz standards by such composers as Miles Davis, G. Gershwin, Ellington, Dave Brubeck to name a few, latin arrangements, i.e., The Girl From Ipanema, One Note Samba, etc., as well as optional contemporary arrangements (Sting, Nora Jones, etc.). 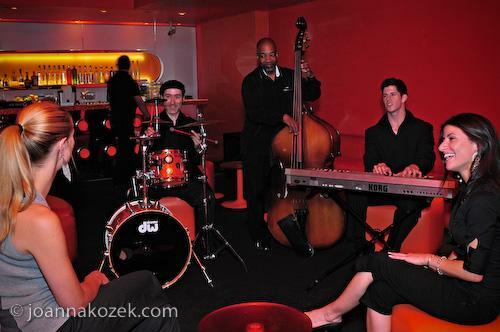 The piano trio is a popular option for setting an elegant mood while guests are socializing. 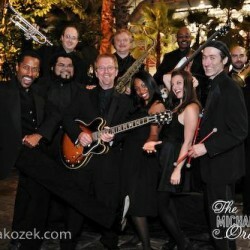 The Chicago Blooze Brothers: UpBeat Music Productions offers a tribute to Chicago's legendary duo, The Blues Brothers. In the spirt of the movie screen play and the signature Saturday Night Live skit, our Jake and Elwood performers carry on the tradition with their look-a-like appearance and dialect, the movie story line concept, and the soulful Blues music. "...ladies and gentlemen, live at the universal amphitheater, just released from Joliet prison..." Our standard show is a fun 30 minute production with audience interaction and participation (including props) with interspersed performances of "Soul Man," "Sweet Home Chicago," "Gimme Some Lovin,'" "Everybody Needs Some Body To Love," and "I Can't Turn You Loose." 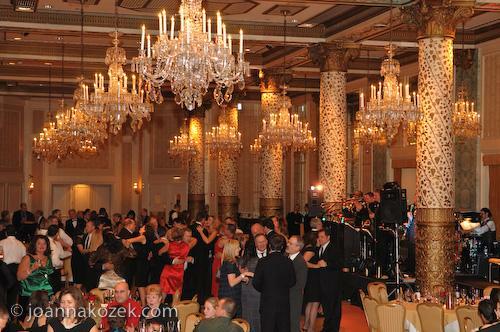 The music and dance routine can be sung with a live band (UpBeat R&B Machine) or sung along with a prerecorded CD. Jake and Elwood can also do a 'walk-a-round' and mingle with the guests before or after the 30 minute production. The Rat Pack Tribute: Our Dean Martin, Sammy Davis Jr. and Frank Sinatra characters perform, meet & greet (as guests arrive), walk-a-rounds, and optional vocal performances of swing classics that these legends are known for. Theme Party Options: Various Famous Hollywood Personalities, Vocal performances, Meet and Greet, Walk-A-Round. 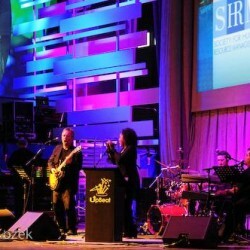 Our actors/vocalists are experienced pros you can trust for your event, most with degrees in music theater. A head shot resume is available for any of our actors upon request. Here is a sample of the many characters available for meet & greet (as guests arrive), and walk-a-rounds: Marylin Monroe, Cigarette Girl, Flapper, Gangster, Game Show Host, Greaser, Referee, Sherlock Holmes, Uncle Sam. 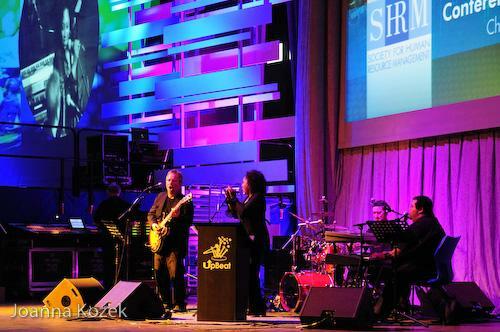 UpBeat recently opened up for Lionel Ritchie for an audience of 8500 at McCormick Place for the Society For Human Resource Management (video coming soon!) UpBeat delivers outstanding entertainment, whether your event is an intimate cocktail reception, i.e., a jazz trio at the Adler Planetarium, or a large scale convention or festival, for example, at our Taste of Chicago performance, FOX 32 community affairs director Wanda Wells said "We absolutely loved your group...you delivered great entertainment for the people of Chicago." 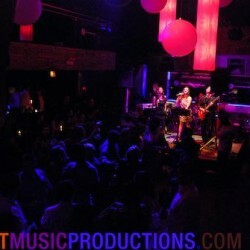 Many of Chicago's top destination management companies trust our group to represent Chicago, and deliver great entertainment for international corporations hosting events in Chicago, some of our agents include HeresChicago, Meeting House, On The Scene, Ivan Carlson, and Ronsley Special Events to name a few. Our extensive client list is available on our site, and ranges from the American Bar Assos., Farmers Ins., Kraft, RE/MAX, to Walgreens.